What does the new AAP policy say about screentime for babies? Posted October 21, 2011 under Ask the Mediatrician. How do I get my 4 year old’s grandpa not to play violent video games with him? 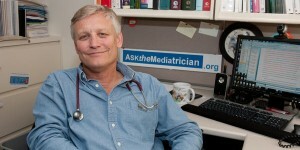 Posted October 19, 2011 under Ask the Mediatrician. Will media affect my 4-year-old’s ability to pay attention? Posted October 5, 2011 under Ask the Mediatrician.